Haley is an attorney with Koprince Law LLC. Haley’s practice covers a wide array of legal issues pertinent to federal government contracts law. To this end, Haley relies on prior experience working in and with federal and state government agencies and entities to help clients move through administrative processes. 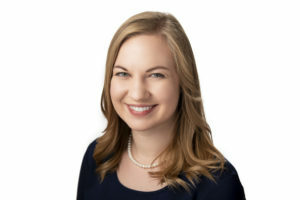 Haley also uses her skills in contract drafting and legal research and writing to provide clients with thorough and thoughtful feedback and assistance. Before becoming a part of Koprince Law, Haley attended the University of Kansas School of Law, where she was an active participant on the school’s National Transactional LawMeet Team and Executive Note and Comment Editor of the Kansas Law Review. During Law School, Haley also worked in Washington D.C. as a law clerk to the Library of Congress Office of the General Counsel. Prior to attending KU Law, Haley received her B.A. in History from Kansas State University. Haley is a lifelong Kansas resident. Despite attending both of Kansas’ rival schools, Haley will always cheer for the K-State Wildcats. In her free time, Haley enjoys traveling in an attempt to reach all fifty U.S. states, visiting art and history museums, and cooking. Haley may be contacted by telephone at (785) 200-8919 or by email at hclaxton@koprince.com. “In Recent Decision, GAO Finds Agency Documentation Lacking.” SmallGovCon, 2019. 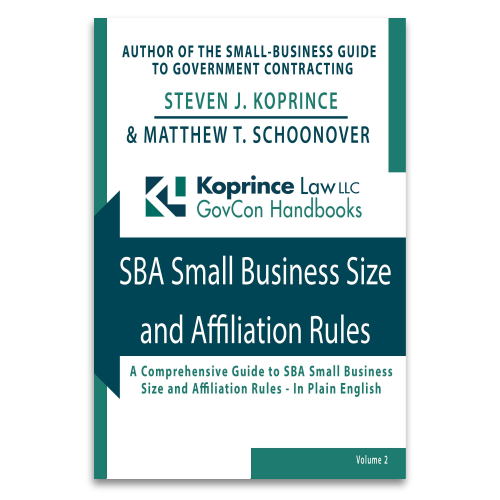 “Failure to Update Joint Venture Agreement Costs Mentor-Protege SDVOSB JV a Contract.” SmallGovCon, 2019. “Handling a Protest with Kid Gloves: GAO Questions Army’s Domestic Leather Requirement.” SmallGovCon, 2018. “I Fought the Law, and the Law Won? Standing Issues Prevent Claim of Agency’s Rulebreaking.” SmallGovCon, 2018. “Who’s the Ombudsman? Proposed FAR Rule Requires Clarity.” SmallGovCon, 2018. “GAO: VA’s Compliance Oversight of Subcontracting Limitations Needs Improvement.” SmallGovCon, 2018. “When You Assume: Proposals Don’t Automatically Include ‘Industry Standards. '” SmallGovCon, 2018. “GAO Puts Substance Over Form in Past Performance Protest.” SmallGovCon, 2018. “Indiana Jones and the Foreign Sovereign Immunities Act (FSIA): Interpreting FSIA’s State of Sponsored Terrorism Exception.” Vol. 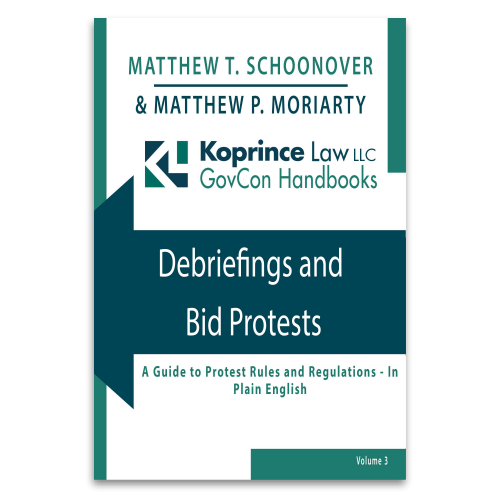 66 Kansas Law Review, 2017 (comment). “GovCon Basics: What Is a NAICS Code?” YouTube, 2018.